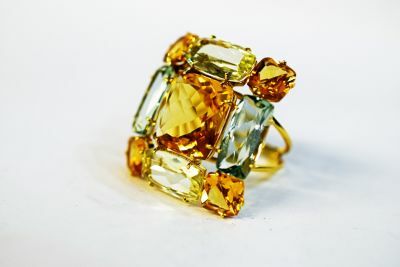 A stunning modern 18kt yellow gold ring featuring 1 cushion cut medium golden yellow citrine, est. 9.17ct; 4 cushion cut medium golden orange citrines, est. 5.23ct and 4 cushion cut medium green quartz, est. 12.76ct.